As I put the finishing touches to a book which explores risk taking in strategy making, our Ashridge / Hult report on how business can tackle the ills of modern slavery has just been published. We talked to the biggest retailers in the UK and the majority believe there is an issue of slavery in their global supply chains. Now UK legislation is a catalyst to do something about it. But to really address the issue requires a big change of mindset – and the risk that goes with that. a time as this, is business part of the solution or part of the problem? This is a story that brings together and dismantles the well-used, and often abused, business terms “strategy” and “risk” in an exploration of what happens when the two concepts collide. 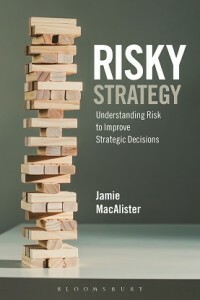 The story suggests that strategy is inherently risky, and that leaders and their organisations need strength of character in order to take the right risks in making strategic decisions. It explores the different ways in which leaders work with risk, and introduces us to formal analytical “elephants” and informal intuitive “tigers”. I look at risk as variability and as crisis – and how this flows through to financial and reputational risk. I look at illusions and mind games that can throw us off the scent. I draw on the philosophy of winning, from business, military and sport perspectives. I consider how leaders select the right variables, and combine analysis with intuition to take smart risks. I look at how they innovate, and how they mitigate the risks of innovation. I think about what makes organisations better at dealing with risk, and what helps us as leaders to feel safer with it. This journey draws from my experience as a lifelong business strategist, and from recent research I have been part of at Ashridge , looking at leadership and risk, and more specifically at the way organisations are currently addressing the confirmed existence of modern slavery in their global supply chains. The story concludes by questioning whether now is a time for business leaders to be proactive as the solution to, and not the cause of, such social issues, whether they need to re-think what is meant by winning, and what implications this might have for taking the right risk in strategic decisions.